Tarle Law is widely sought by clients throughout California and Texas in a broad range of industries, including construction law, insurance defense litigation, and the energy industry. For more information, call either of our offices to reach an attorney. Tarle Law is widely sought by clients throughout California and Texas in a diverse range of industries, including construction defect and accident litigation, contract drafting and negotiation, insurance defense litigation, insurance coverage consulting, personal injury, and premises and product liability, as well as in the energy, renewables and nuclear energy sectors, oil and gas, environmental, transportation and trucking. Tarle Law is a solely owned women practice and has been designated as a WOSB (Women Owned Small Business) firm. 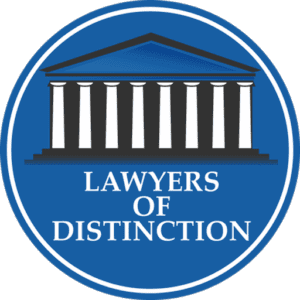 Tarle Law's attorneys are recognized by esteemed organizations, including the Lawyers of Distinction and the Texas Bar College. Tarle Law represents a broad brush of companies, ranging from large NASDAQ and NYSE-listed Fortune 500 corporations to small startup companies. From law offices in Carlsbad (760-607-6089) and Austin (512-879-3677), the firm is often sought out by clients with a national presence who conduct business in California and Texas and are seeking out our strategic thinking and creative problem-solving for their legal issues across multiple state lines. Armed with attorneys who bring substantial experience to each case, we are equipped to analyze complex legal issues. The firm represented a renowned energy company during cutting-edge international engineering procurement and construction (EPC) contract negotiations by drafting industry-specific Controlled Insurance Program (CIP) and risk transfer requirements and obligations that were utilized to mitigate the clients' exposure and protect their interests while constructing a nuclear power plant. Our lawyers partner with our clients to internalize their unique legal objectives and to help each client address and evaluate their risk management models with creative thinking and legal analysis that works to incorporate the client's business decisions. We work to distill and simplify these very complex issues of law, risk management and risk transfer to create a road map to achieve the most advantageous outcome available. We work to address these issues in the formation and negotiation phases to reduce the likelihood of costly litigation or to strengthen our clients' positions in the event that litigation arises. We are well-known for effectively and efficiently representing our clients in efforts to minimize potential exposure, while at the same time analyzing and addressing exposure issues early and often in order to provide our clients with opportunities to make informed business decisions regarding resolution options. Should our clients become involved in litigation, we are strongly positioned to defend their interests, evaluate risk transfer options and resolution opportunities, and ultimately represent them in trial.